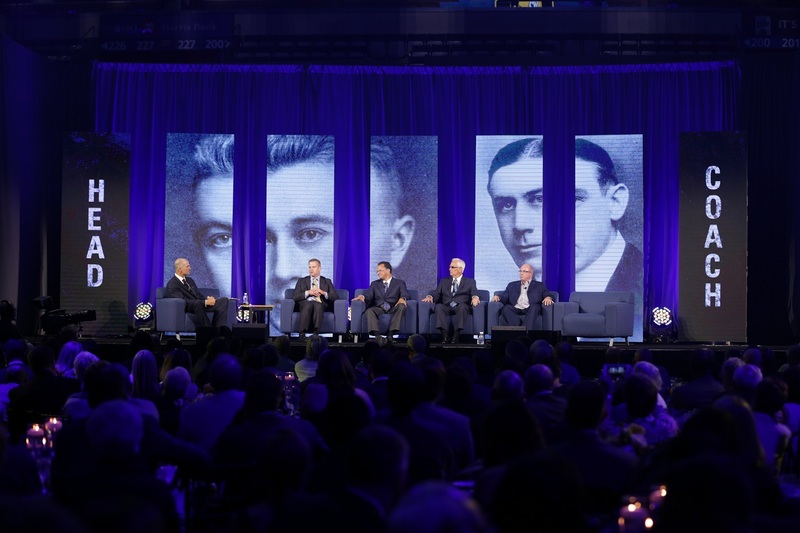 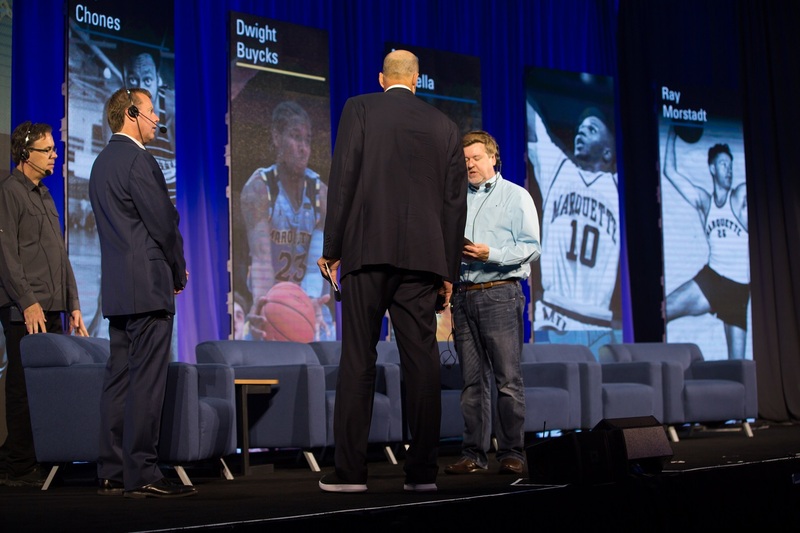 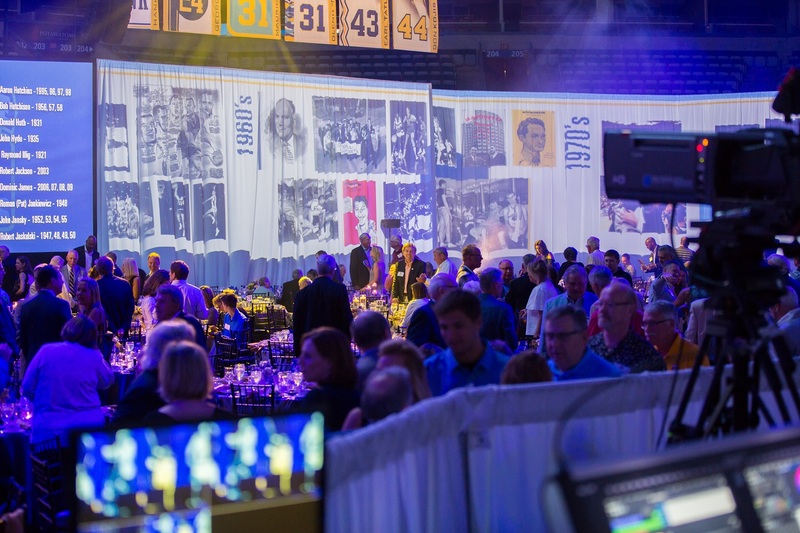 Tri-Marq was honored to be part of history, celebrating 100 years of Marquette Men’s Basketball. 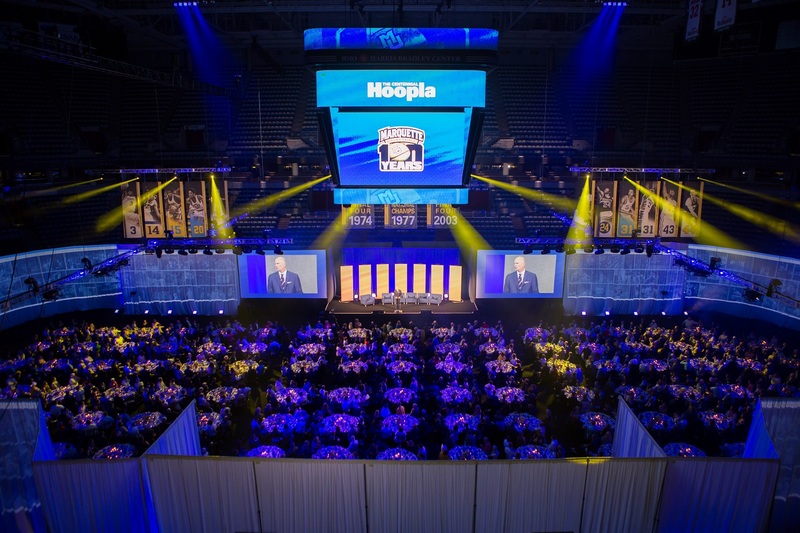 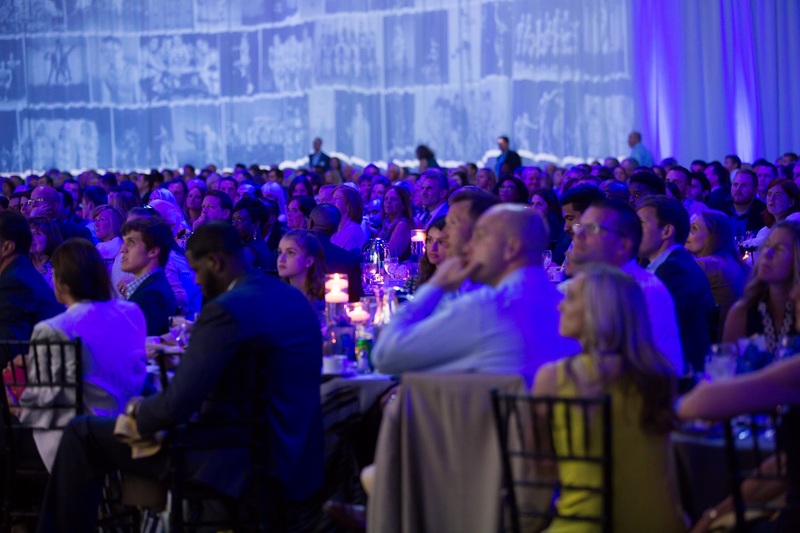 Tri-Marq partnered with Marquette Athletics to produce this special event at the BMO Harris Bradley Center with nearly 1,000 guests. 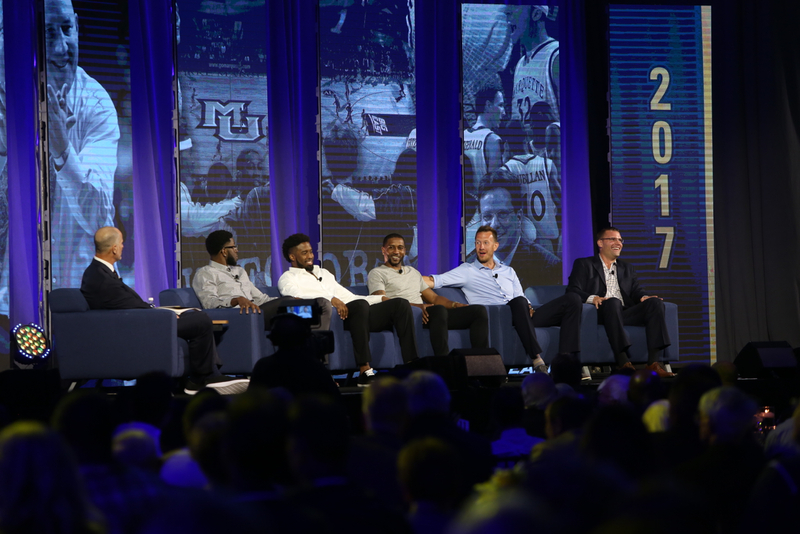 Marquette recruited 3 former coaches and 125 former players that were in attendance to greet guests on and off the stage. 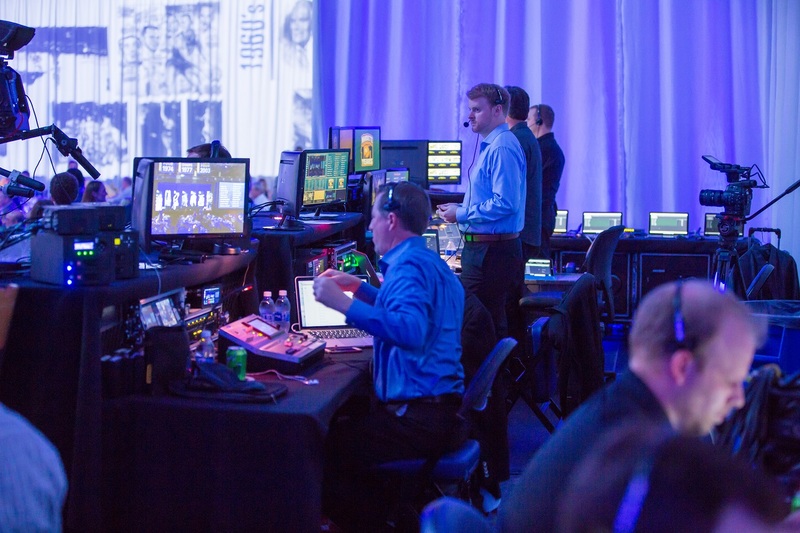 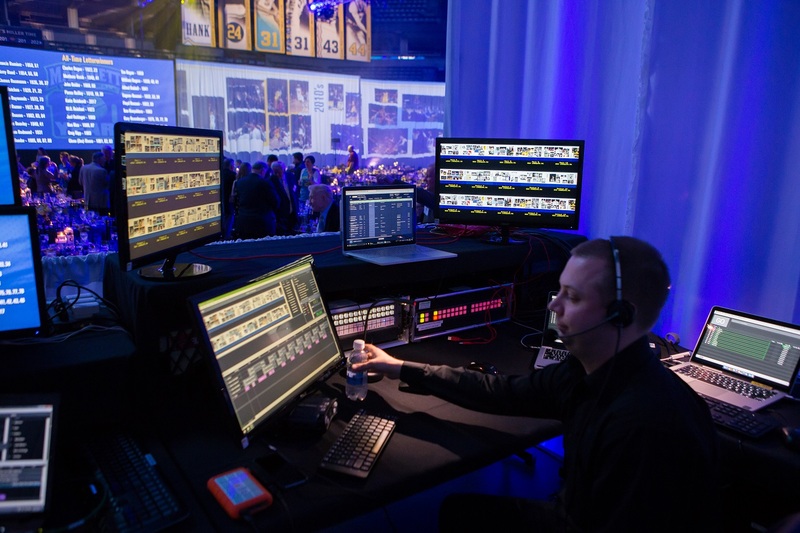 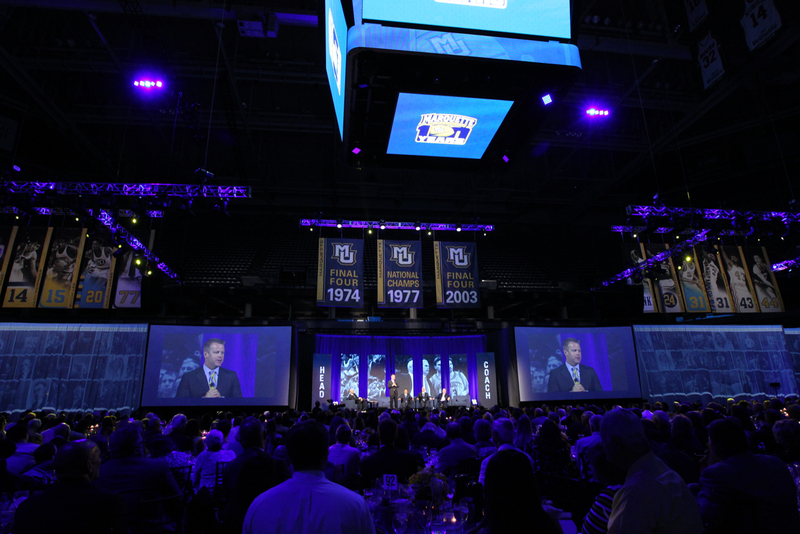 To make this evening unique and unforgettable, Tri-Marq designed the event using; two 24′ x 13.6′ screens flanking the stage, along with 7 LED columns that were 3-feet by by 9-feet high and placed center stage, creating a backdrop for the gala. 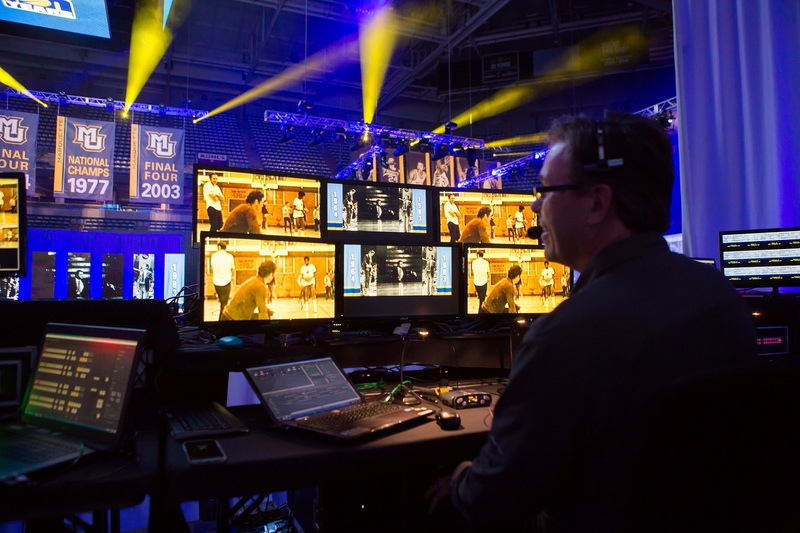 We took guests through 100 years, by Era, with videos playing on the large screens and complimentary imagery projected on the LED columns. 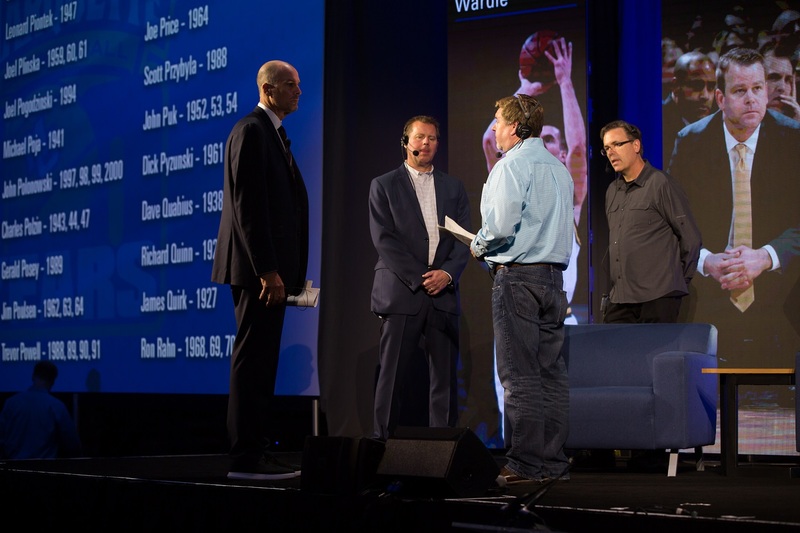 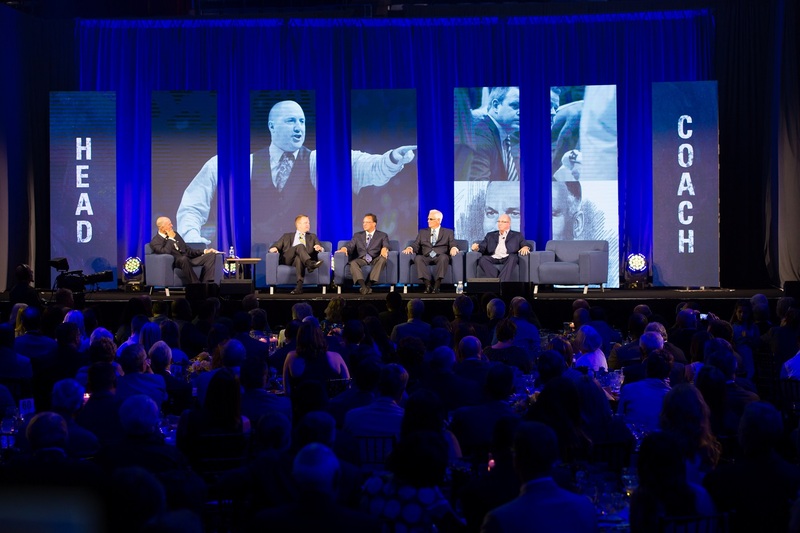 Select former players and 3 coaches joined on stage telling their stories of the past through Q&A sessions, moderated by ESPN Analyst Jay Bilas. 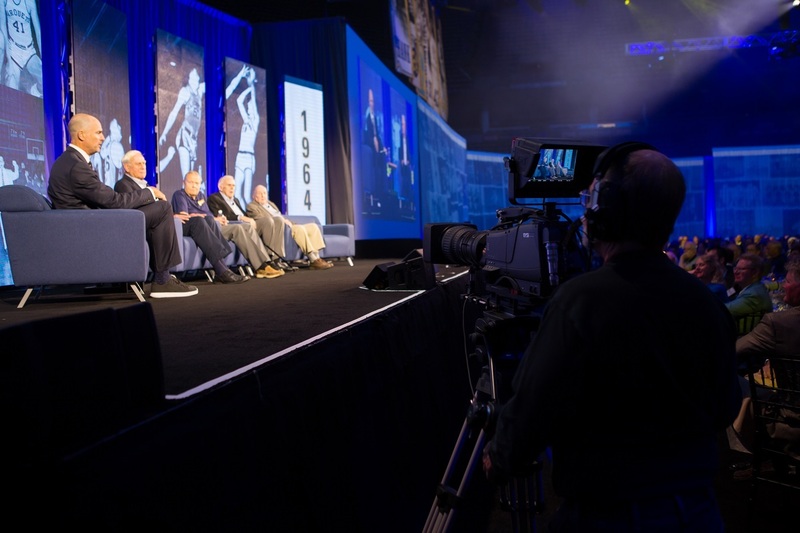 These panelists entered stage from back stage through the LED columns. 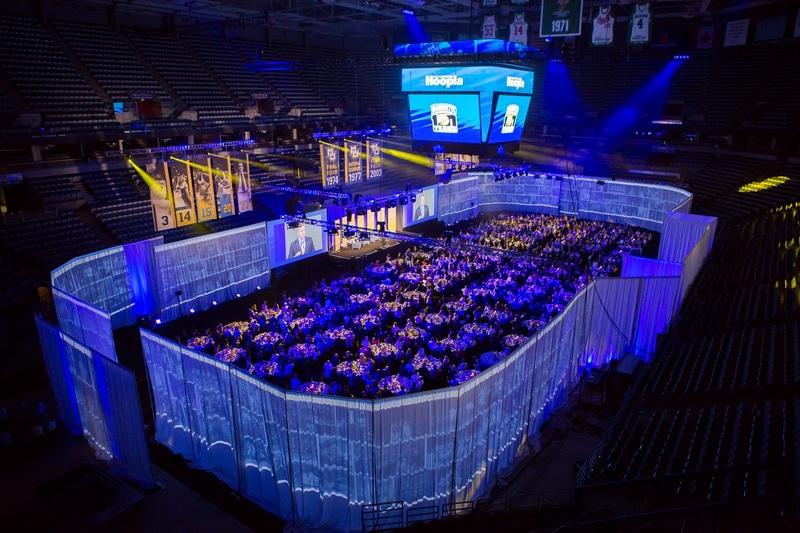 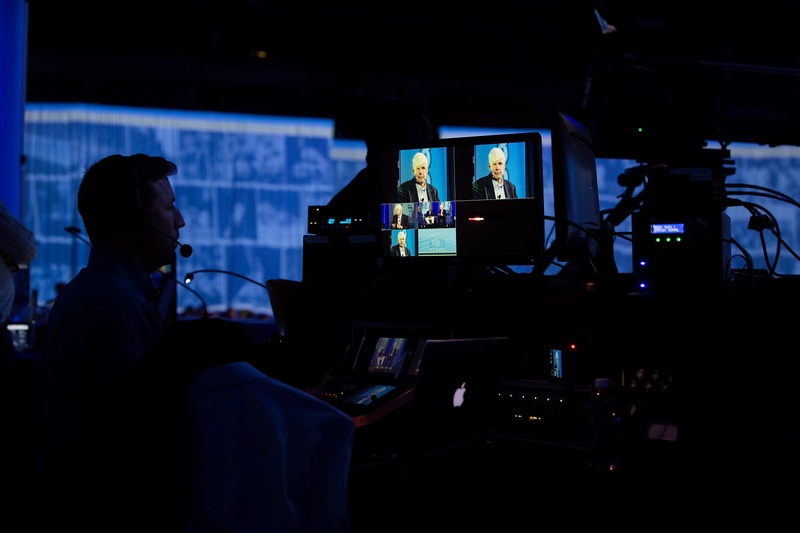 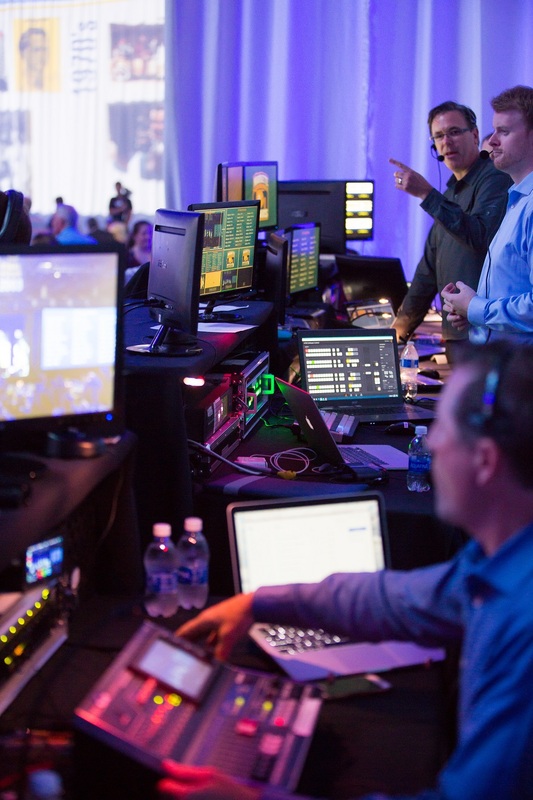 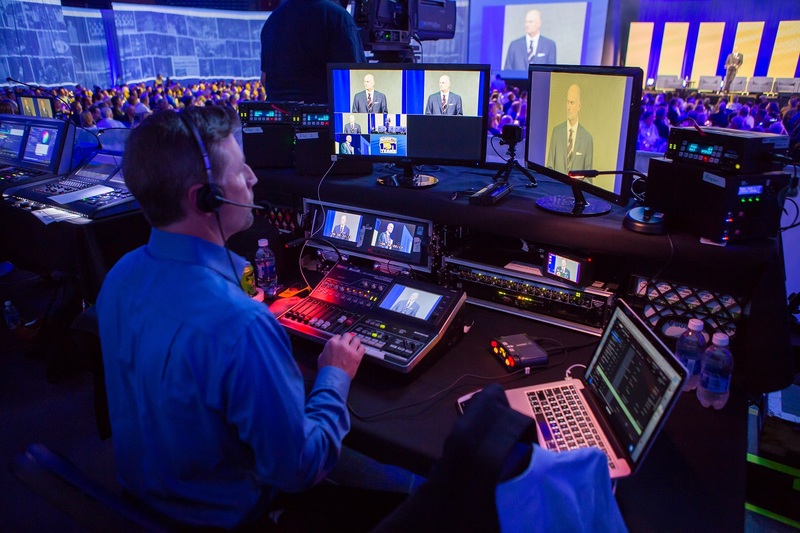 We added 330-feet of white drape elegantly hung around the arena floor and designed video with photographs that projected onto the drape creating an intimate space for guests. 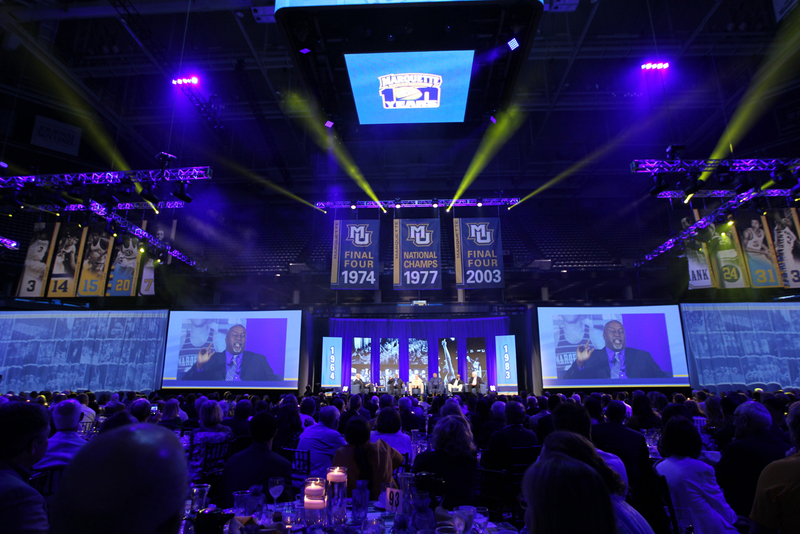 Tri-Marq was pleased to accept the challenge from Marquette, and together the teams success were applauded by rousing standing ovations, several times throughout the evening.